Note: This WestEd project was completed in 2015. The Orange County Information Technology Cluster Competitiveness Project is led by a consortium of local Workforce Investment Boards (WIBs) — comprising Orange County, Anaheim, and Santa Ana — and the Orange County Business Council (OCBC) to test an innovative strategic planning process and launch pilots that build pipelines into high-growth occupations in the region’s IT industry. 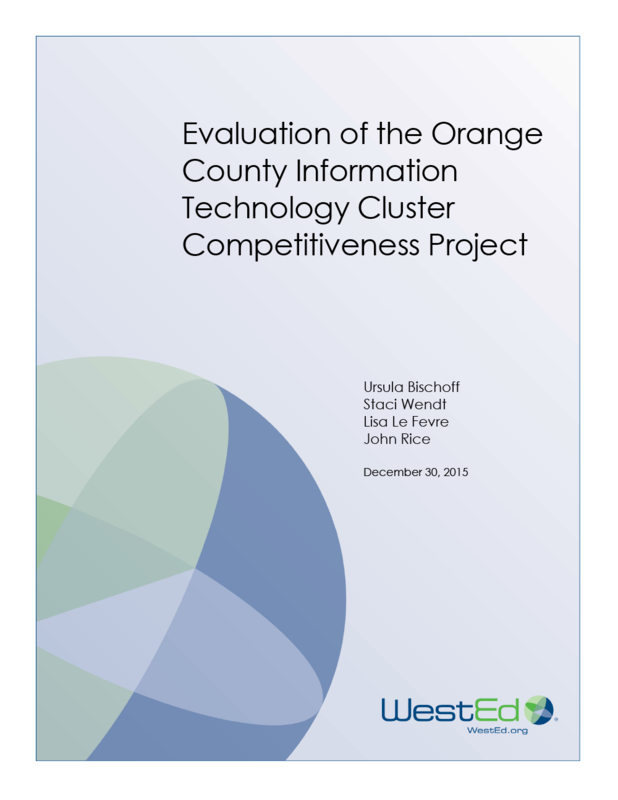 The Orange County IT Cluster Competiveness Project is funded as a Type A project (New and Untested Idea) by the U.S. Department of Labor Workforce Innovation Fund. The project tackles a “disconnect” between the skills businesses need and the content and availability of IT education and training programs. The OCBC is facilitating an employer-led strategic planning effort that ensures business and education stakeholders work together to address emerging and longer-range workforce needs of industries in which IT skills are a critical element to companies’ success. WestEd’s formative evaluation examined how a workforce intermediary (OCBC) coordinates a broad tech industry planning process intended to build infrastructure and training options to meet employers’ needs, and how the WIBs design and implement programs to build an ICT career pipeline for targeted populations (i.e., veterans, youth, and Latinos). 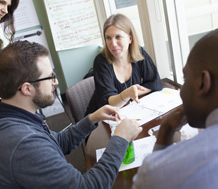 WestEd’s summative evaluation assessed workforce outcomes of participants in new and modified information and communications technology training programs. The evaluation was completed in 2015. WestEd evaluated a program designed to meet employer demand for information technology skilled employees. 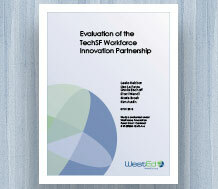 Read WestEd's evaluation of a program designed to meet the needs of San Francisco employers and job seekers in the technology field. Read evaluation findings of WestEd workforce initiatives focusing on underserved groups, including English learners. 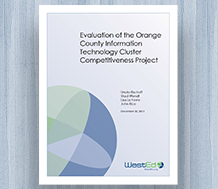 Read WestEd's evaluation of a program designed to meet employer demand for information technology skilled employees in Orange County, CA. 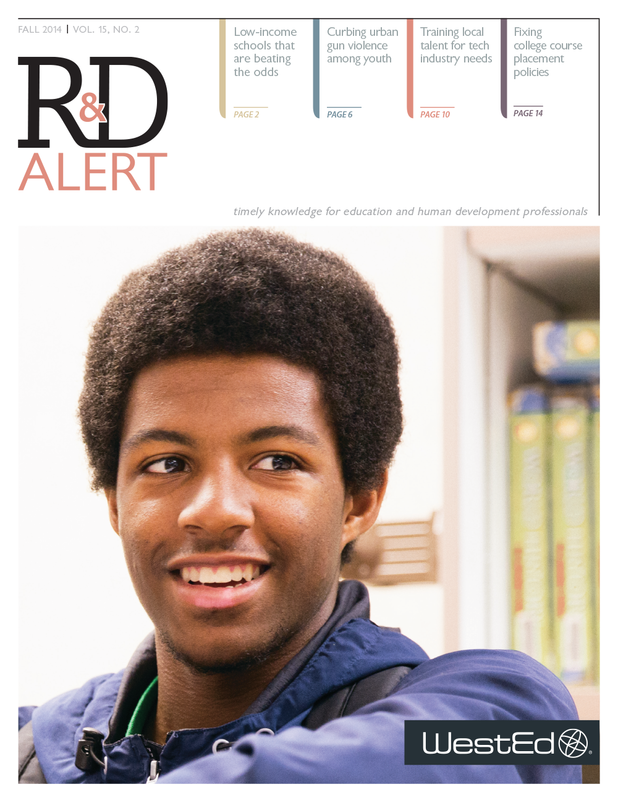 Curbing urban gun violence among youth and cultivating a tech-sector workforce are among the highlights in this newsletter issue.